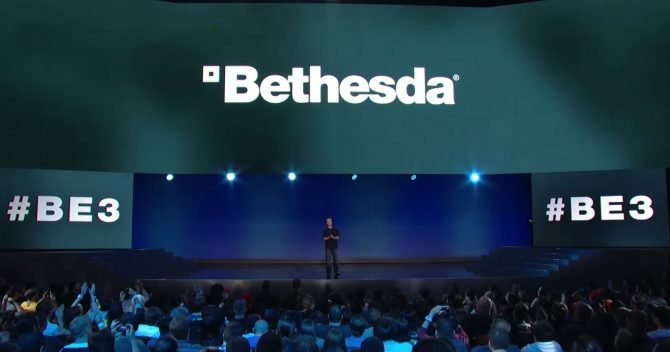 Xbox and Bethesda have announced a partnership with the Philadelphia 76ers and have revealed a new special edition Fallout 76 console. 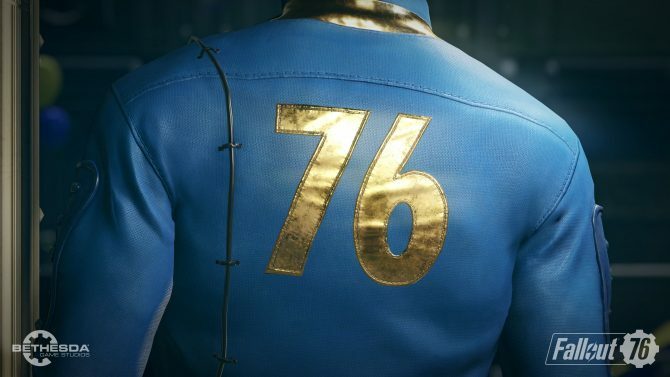 Xbox and Bethesda have partnered with the Philadelphia 76ers during November to celebrate the launch of the multiplayer title Fallout 76. The announcement via Xbox Wire also has revealed the “Radioactive Edition” Xbox One X console and Xbox One Controller. 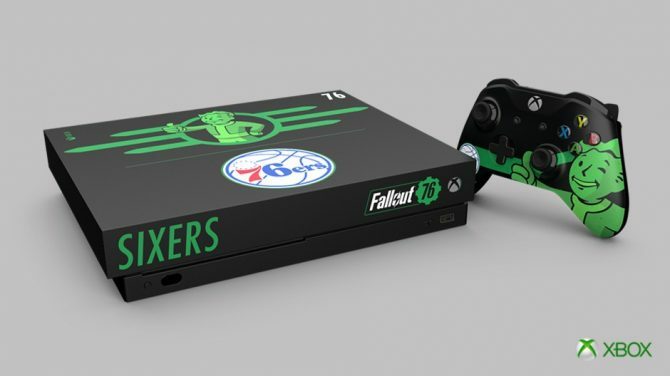 The console sports the recognizable Vault Boy from the Fallout series as well as a fat 76ers logo right in the middle of the Xbox One X. 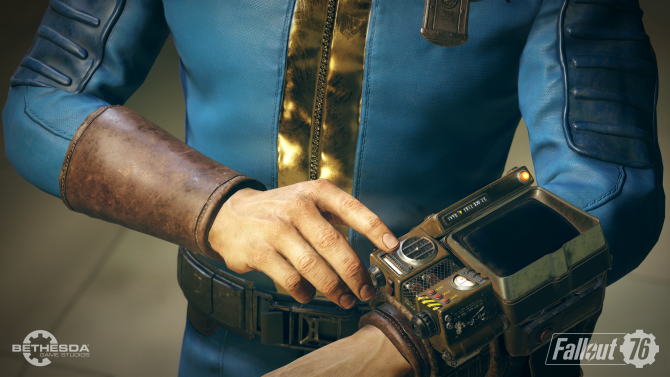 It is also noted that you should keep an eye out for other announcements from @Fallout, @Xbox, as well as @Sixers for even more reveals and even a chance to win the new console. The new Xbox is only the first reveal of many. If you are a super Fallout and 76ers fan, boy did you strike the gold mine here. I will still be jealously waiting for my Legend of Zelda and San Antonio Spurs crossover. However, I think it is safe to say that that day will never come to fruition. 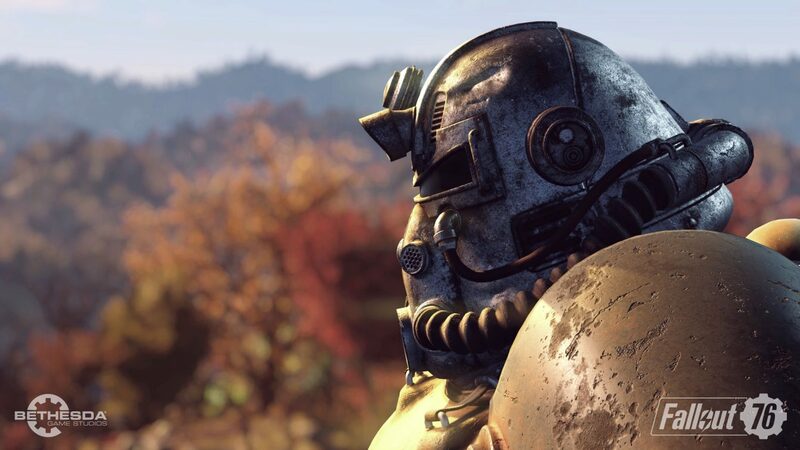 Fallout 76 is set to release next month on November 14 for PS4, Xbox One, and PC. 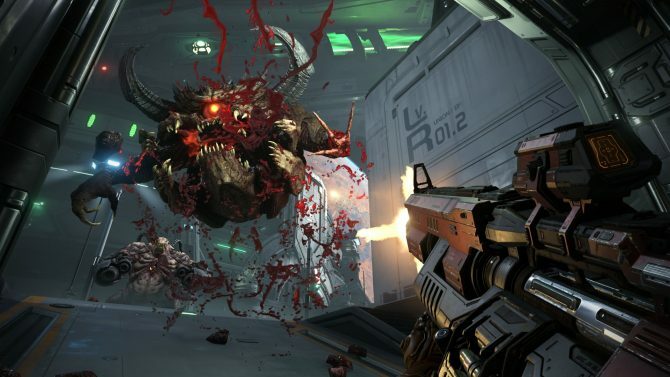 You can check out a stream of the game next week featuring Ninja, Logic and more. If you would like to pre-order the game ahead of time, you can head over to Amazon to do so.